RAK831 is a Semtech SX1301 based LoRa gateway module that was released by RakWireless in 2017. The board has since then be sold as part of the company’s LoRa gateway developer kit with a Raspberry Pi and a MAX-7Q GPS Module. 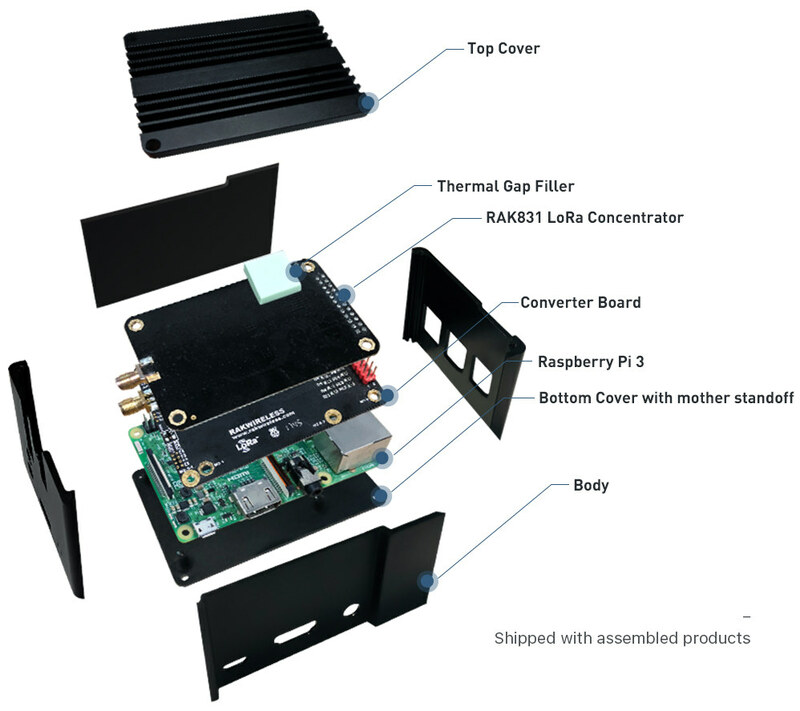 But now RakWireless offers a nicely packaged solution with Raspberry Pi 3 board, RAK831 module, a GPS board, an enclosure, antenna, and power supply which they call RAK831 Lite, and sells for just $199 + shipping ($6.45 extra here). The gateway ships with LoRa and GPS antennas, a 5V/2.5A power supply, a DC to micro USB adapter, and a micro USB cable. 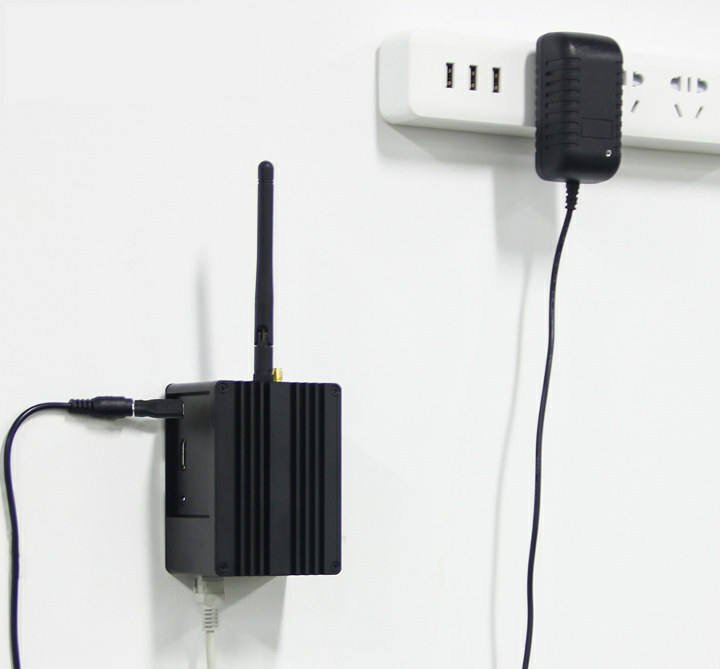 The company however highlights that the kit is only meant to be used as a demonstration system for LoRaWAN network, it is not designed to be a full features outdoor gateway, and should be operated indoors only. Setup should be easy, since RAK831 is the most popular product from Rak on Aliexpress, and plenty of documentation and tutorials are available online. While there’s no explicit mention of the presence of a micro SD card in the kit, the product description explains lora_gateway and packet_forwarder github repositories are pre-installed in the gateway. The gateway should work worldwide for the frequency range suitable for your country, and for example, in the past I have not seen many devices with AS923 (923-925 MHz) band support. As mentioned at the beginning of this article, price is $199 for one gateway, but it goes down to $189 per unit for an order of 2 devices, and a pack of 5 lowers the unit price to $179. Anyhow the RAK831 isn’t legal to operate in Japan and probably other AS923 regions because it doesn’t have the extra radio for doing Listen-Before-Talk that is required for compliance.